What's the one thing everyone loves more than a freebie? A freebie that changes the world! Okay, that's a big call, but let me explain: STREAT is a social enterprise that provides young homeless people in Melbourne with hospitality training, life skills and work experience. Their goal is to create a pathway to long-term careers and help people get back on their feet. 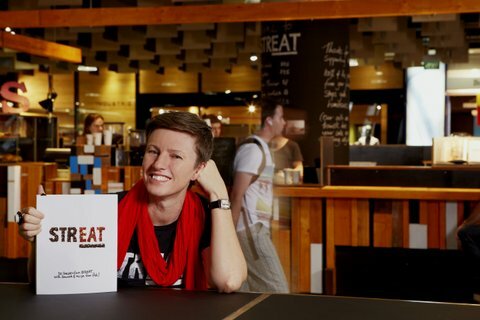 STREAT officially opened their new café in Melbourne Central last month, simultaneously launching an incredible cookbook. To celebrate their success so far, Melbourne Central have given me a STREAT cookbook to give away to one home chef who wants to cook for a cause. It's not just a flimsy charity cookbook, either. 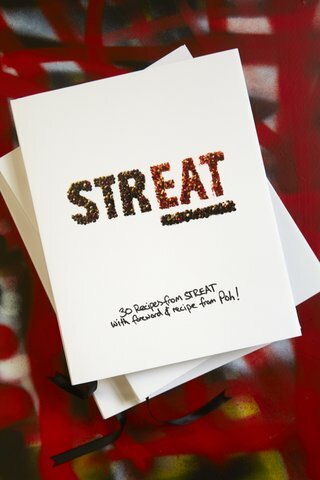 The STREAT cookbook is a vibrant, 160-page hardcover filled with stunning photography and artwork, not to mention recipes from around the world by STREAT's head chef, Rob Auger. 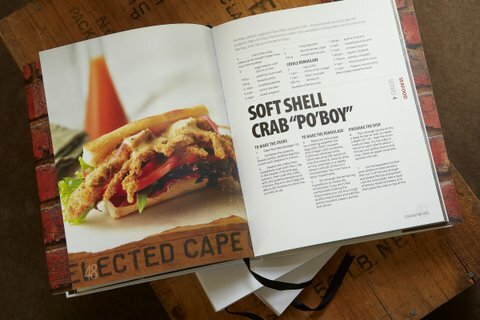 There's also a foreword and recipe from celebrity chef Poh Ling Yeow from ABC's Poh's Kitchen. As mentioned, I have a single copy to give away, but if you miss out, it will only cost you $45 to put one on your shelf and join STREAT's crusade to stop youth homelessness. Leave a comment below telling me what makes you "STREAT smart" for your chance to win before midnight on Friday June 21. - There is no limit on how many times you can enter. - To be considered, all entrants must leave their email address in the comment or copy your entry into an email to feedme[at]poppetswindow[dot][com]. This is necessary as the winner will be emailed to confirm posting address. - This competition is valid for within Australia only. I've been meaning to visit their Melbourne cafe... the cookbook looks stunning! As for being Streat-smart - hmmm, I buy The Big Issue and proffer snacks to the homeless every now and then, does that count? I am Streat Smart and passionate about helping the homeless by supporting StreetSmart. As a big believer that helping people to help themselves does more for them than a handout - I think Streat is an excellent example of social enterprise at its best. Thanks to everyone who entered! For those wondering, Leaf was chosen as the winner. There's something so very 'Melbourne' about The Big Issue and the great work they do, which is what lead to me choosing this answer.